What would you like to treat and sort in the near future? Kiverco consulst, designs, engineers and builds uncompromisingly robust recycling plants for any business in the waste processing industry. Through robust design and engineering, Kiverco ensures optimal performance of your plant, with maximum uptime and therefore maximum output. Kiverco offers the security and flexibility to change your plant over time, in line with latest industry and market developments. Kiverco’s extensive experience, professional relationships with world leading technology partners and comprehensive service programmes combine to give you total confidence and control over the lifetime of your investment. Kiverco offers stationary sorting plants, designed and made to measure, based on your needs. 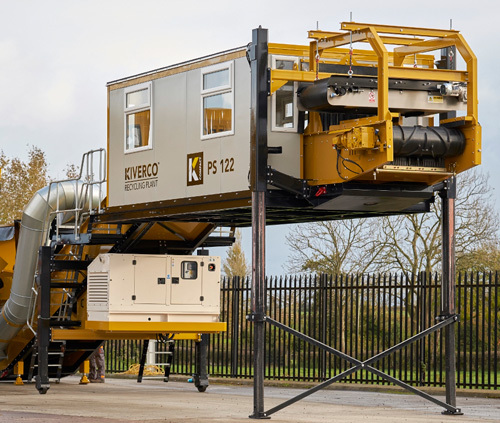 Answering to a growing demand of flexible solutions for short term projects or rapidly changing market requirements, Kiverco developed their Compact Line some years ago. 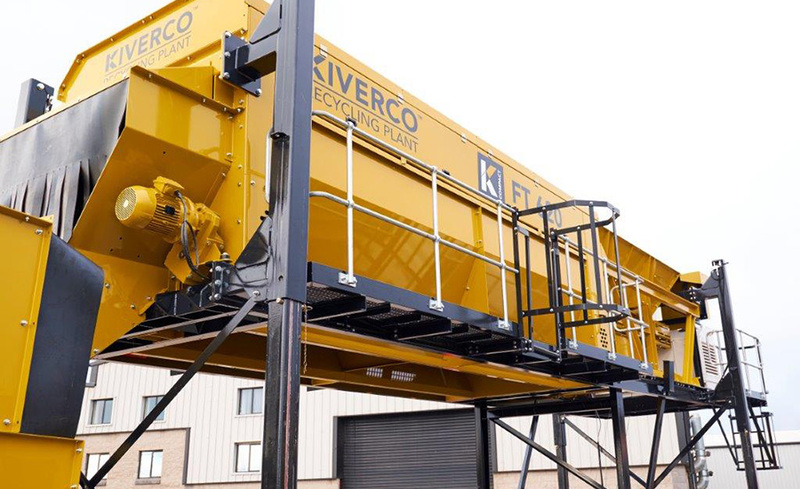 Kiverco Compact offers a mobile sorting plant, based on their proven and approved stationary installations. Kiverco managed to make their stationary components mobile, without compromising on robustness and sturdiness. This is a unique solution, strongly appreciated by a growing number of customers. The Compact FT carries out the initial screening of different sized material. This machine can be combined to form a complete recycling system along with the Compact PS Picking Station and Compact DS Density Separator. Diesel electric powered with the option of mains electric power. The Compact PS Picking Station offers unrivalled set-up simplicity, operator comfort, safety and environmental protection. It combines air separation, magnetic separation and manual sorting – all in one compact unit. The Compact DS has been designed to efficiently separate material into usable fractions, using the latest in air separation technology. This machine can be combined to form a complete recycling system along with the Compact FT Feeder Trommel and Compact PS Picking Station. How does the idea sound, to combine the quality and possibilities of a stationary sorting plant with the advantages of a mobile machine? 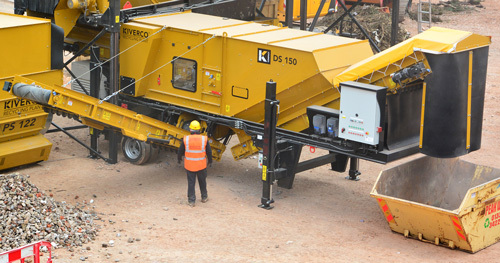 Discover Kiverco Compact - the Mobile Recycling Plant range from Kiverco. This range of products, operated as single units or when combined together, provide an alternative to traditional ways of processing waste. Designed for the small to medium waste processing operator or mobile contractor, certain modular components can be selected and set up within hours - giving all the benefits of a high performance static plant. Smart Equipment will set up a conversation with the Kiverco-team in a very early stage of your project, to ensure that the Kiverco-engineers perfectly understand your needs and constraints, think along with you and design a first draft, which is already close to ideal, but open for further fine tuning and optimization. The Kiverco-team, consulting customers worldwide, very often brings interesting and illuminating points of view or ideas.